The Kingpin has no superhuman abilities however he is highly intelligent and is at the peak of physical fitness. He is a highly skilled planner, organizer and a criminal mastermind. 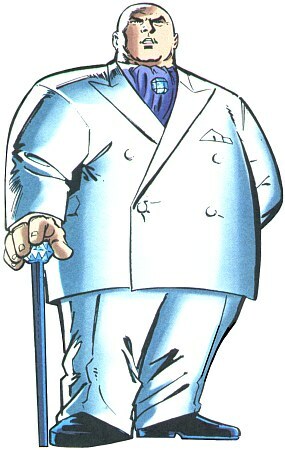 The Kingpin is also trained in martial arts (especially in sumo wrestling). Wilson Fisk was a poor child growing up in the slums of New York City, and killed a man when he was 12. He was always determined to be the best at whatever he did, and fanatically trained his body in many martial arts as well as his mind in many theories, including political science. Forming a small gang, he quickly built them into a prominent criminal force that eventually became one of the largest criminal syndicates in New York, with Fisk in charge of it all.